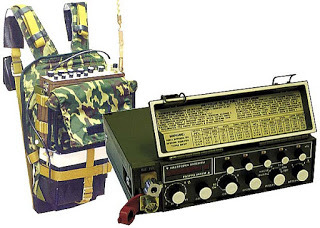 Portable tranceiver "Angara - 1"
R-250, R-250M and R-250M2 where the most prominent and remarkable Russian short wave receivers. 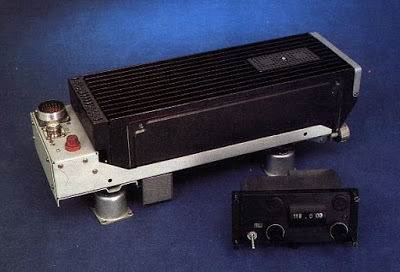 The receiver line produced and modernised from 1948 until 1981. 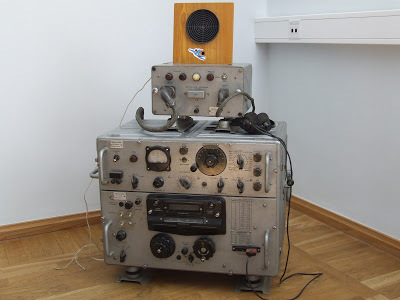 The receiver was mainly used in soviet and her allied armed forces. 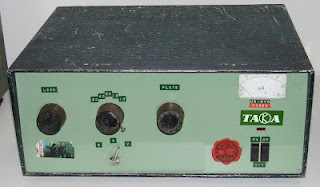 Later often found in HAM radio clubstations. 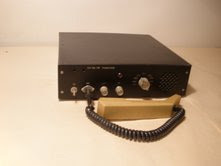 1.5-25.5 MHz in 12 ranges (turret tuner), with optional extension kit four additional ranges up to 33.5 MHz, AM/SSB/CW, optical projection tuning scale. Transceiver Efir was produced since the end of 70s of the 20 Century. Bands: 1,8; 3,5; 7; 14; 21 and 28 mc. CW and SSB mode. 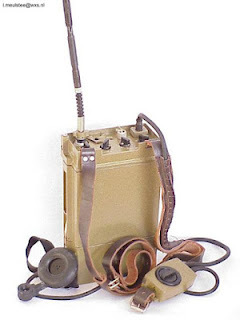 R311 – “Portable” tube military HF receiver intended for range 1.0 – 15.0 MHz, receives AM, CW and SSB. 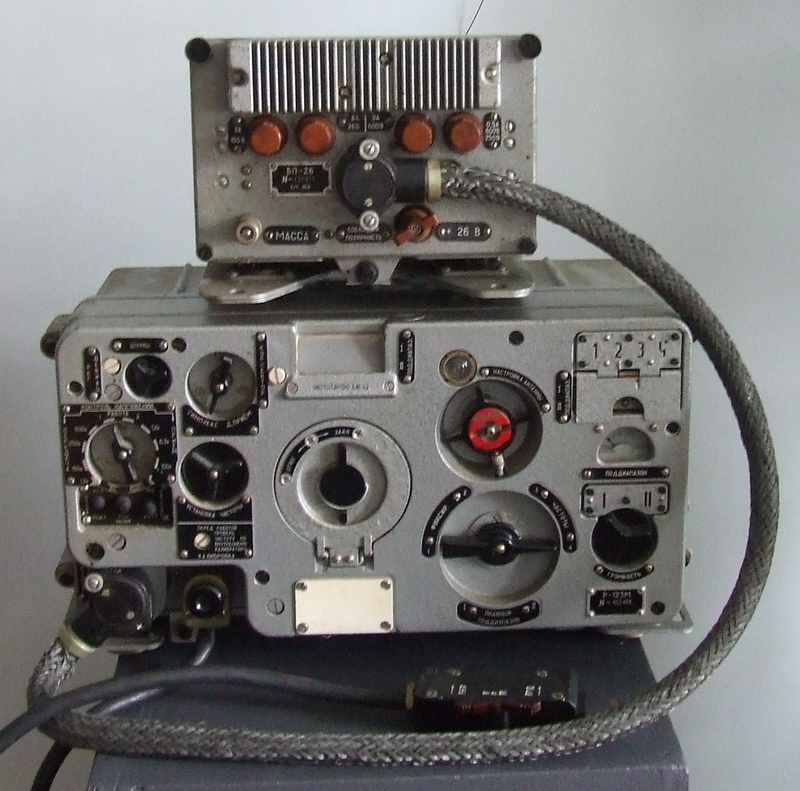 R- 311s were produced from the beginning of 50 till end of 1970. 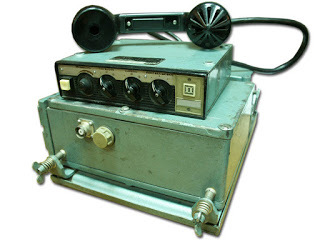 R- 311 were used at a radio- intelligence division. Then it was widely used in USSR Army- in tank, in ship, like army headquarter monitoring receiver for receiving routine radiogram, weather forecast, like military training receiver, etc. 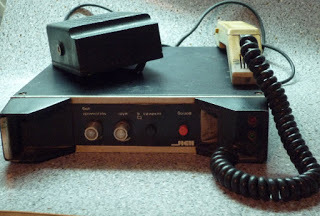 The receiver works well both with short and long antennas. 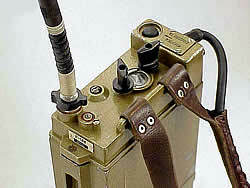 R- 311 practically has no rustle without an antenna. 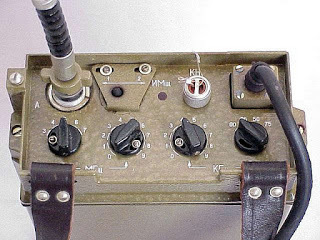 Russian Military Aircraft Receiver R-872. 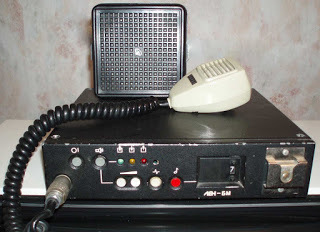 Transceiver R-123: military frequency modulated shortwave / VHF transceiver, frequency coverage 20,0 - 51,5 MHz (band 1: 20,0 - 35,75 MHz, band 2: 35,75 - 51,5 MHz, 1261 channels with 25 Khz channel spacing), optical tuning system with frequency projected to a glass plate, operation mode frequency modulated telephony F3, output power 20 Watts. The airborne VHF two-way transceivers are intended for establishing of radio communication (simplex operation) between the crews of airplanes and helicopters and with air traffic controllers of the ground air traffic control services. 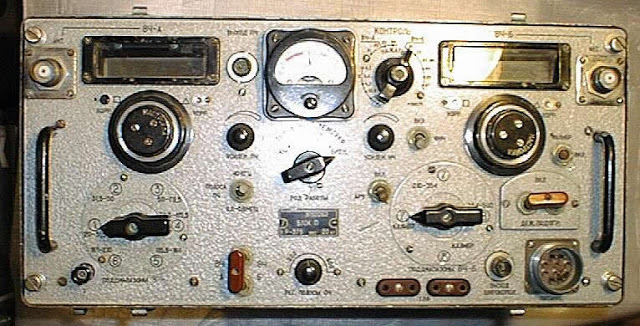 Control of the transceiver and setting of the demanded frequency is carried out with the help of the remote control panel. Frequency range: 116.000 to 136.975. Output power min. 16 W, AM mode. 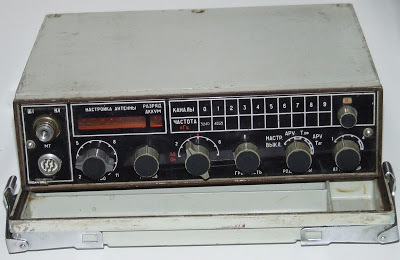 Modernized housing "Baklan - 20"
Frequency range 116.000 to 136.975, Transmitter output power, min 16 W; AM mode. 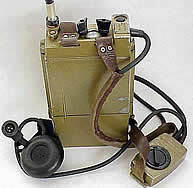 Receiver R - 375 "Kaira"
is a recent fully transistorized portable radio. It was used on company level. 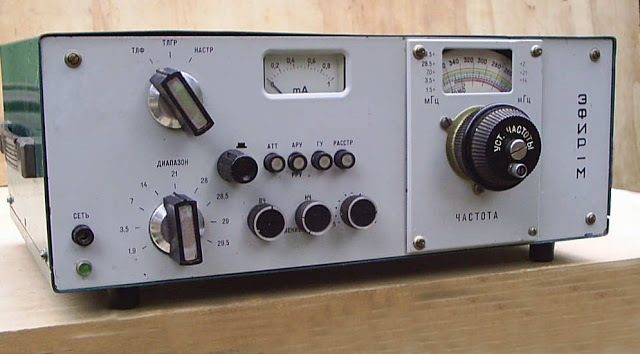 Frequency range: 37.00 ... 51.950 MHz Technical data: Channel spacing: 50 KHz Modulation: FM. 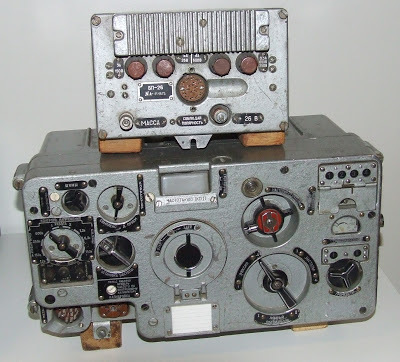 HF output: 1 W.
The Volna-K is a Russian Navy HF receiver. 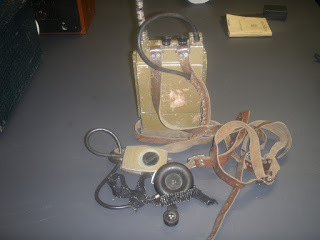 It was intended as a maritime receiver for the Navy and for commercial shipping. It is a superheterodyne double conversion HF receiver, using 17 miniature valves, and 2 semi-conductor diodes. The valves have Russian numbers, but are equivalent to common American types. It is intended to receive AM and CW signals down to 0.5 uV levels. The word "volna" translates to "wave". 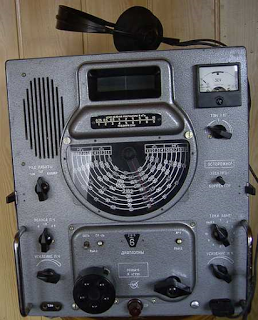 The frequency coverage is 12 kHz to 23 mHz in 9 bands, with gaps around the IF frequencies. There are 3 versions of the Volna-K, each with a slightly different frequency coverage. 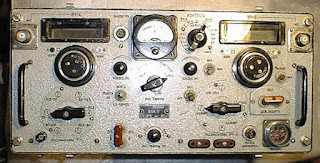 There is also Volna-P which is the version for submarines. 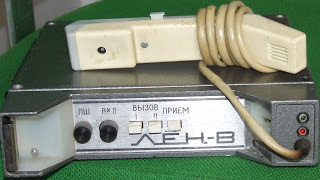 is a modern Russian Portable. 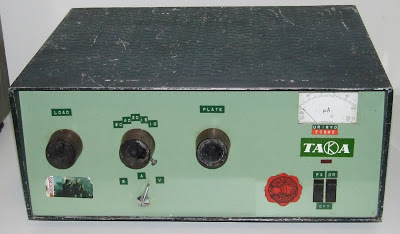 It is solid state. I am trying to find out where it was used.